At Holme Grange, we place great emphasis on these early days, seeking to provide a learning environment which offers the individual child a very positive beginning. 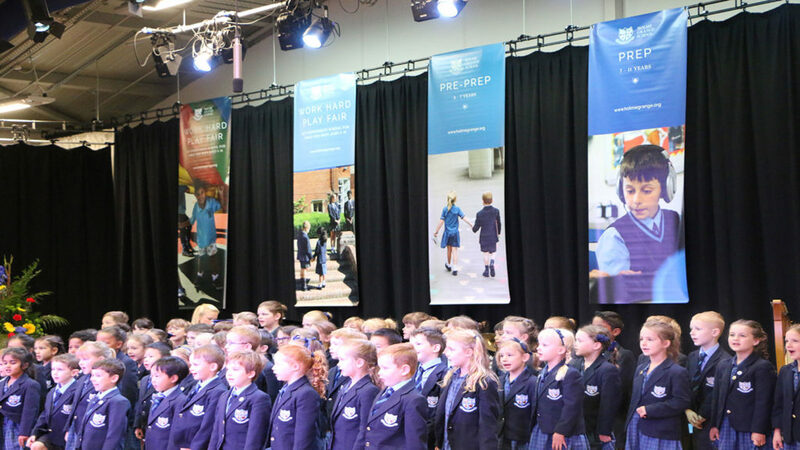 Pre-Prep consists of Little Grange, Reception, Year 1 and Year 2. Little Grange and Reception follow the Early Years Foundation Stages and Year 1 and 2 follow the Key Stage 1 National Curriculum. These are the building blocks for the children’s learning but here at Holme Grange it is how we teach these blocks. Our Early Years provision has an outstanding reputation in the local area and places are much in demand. We welcome both boys and girls from three years old. Our Early Years staff are experienced and well qualified and all of them love working with children. Pupils in the Early Years Department also benefit from specialist teaching provided by staff from the prep school, in subjects such as Games, (Musical movement in Little Grange; Judo, Dance and Art in Reception) ICT and Music. Here, children begin their Early Years Learning Journey in a caring environment. Children are encouraged to explore a variety of activities building positive relationships with their peers and our fully qualified Nursery Staff, in a happy, stimulating atmosphere. As children become more self-assured, our experienced staff facilitate enhanced learning experiences which extend children’s development across all areas of the Early Years Foundation Stage. Children are given the opportunity to think creatively, make choices, and follow their own initiative to become confident learners, with regular opportunities to spend time with the reception children to aid a seamless transition. "The professionalism of the staff has been amazing and the facilities are truly wonderful." We have a two form entry at Reception with small class sizes. This ensures that the children feel secure when they transition from nursery. Although both nursery and Reception follow the Early Years Curriculum. Class sizes are small (maximum of 18 pupils) to ensure that children receive personal attention from our dedicated and enthusiastic teaching and support staff, enabling children to fulfil their potential. "We have loved our time in Reception and are amazed at how much progress our son has made." Children entering Year 1 will find the day has become more structured and formal with a stimulating curriculum in a happy and positive learning environment. It is an important transition stage between the Reception phase foundation curriculum year to the more formal Year 2 curriculum. The work covered builds upon the phonic, English and Mathematics skills the children learned in Reception. Learning is fun and we tailor the national curriculum to our children’s needs, to make it interesting, exciting and relevant to young children. In Year 2, the children continue to consolidate and build upon their learning experiences from Reception to Year 1. They become increasingly independent in their learning through a broad range of activities on offer. Year 2 is a fantastic year for the children at Holme Grange. It is a busy year, full of exciting lessons and activities. Children continue to develop their linguistic confidence and knowledge of sounds with fun, exciting games. The children also spend time reading together and enjoying books and they have the opportunity to read aloud to an adult individually. "I absolutely love the school. I love the range of experiences they have."